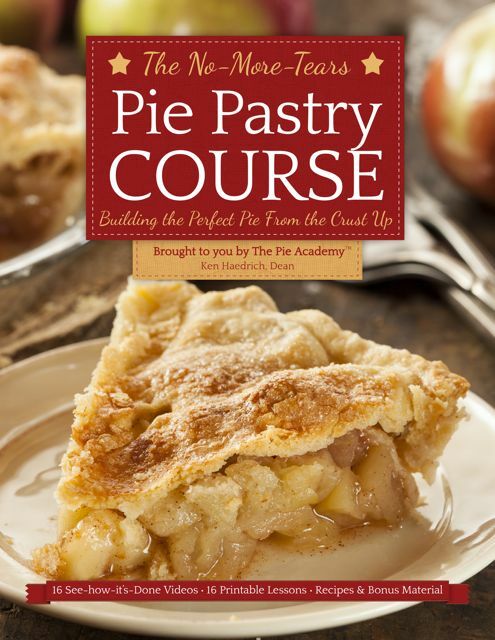 10 Winning Strategies for Your Thanksgiving Pies by Ken Haedrich, Dean of The Pie Academy – the Big Meal is fast approaching. What’s up with your pies? Ok, it’s the Big Week, and even if The Big Meal is still a few days off, you’re getting your game face on and going over the menu and all the other details, at least in your head. Your pies are a lock – or are they? 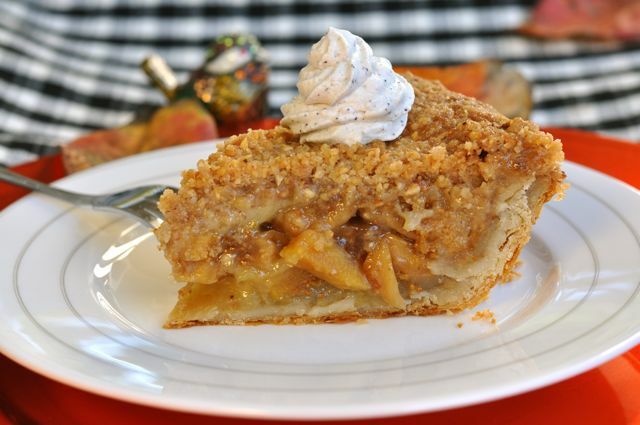 It’s not too late to make some adjustments, rethink your pie strategy. Maybe these ten ideas will help. Yes, we’re pretty much down to the wire but there’s still time to prepare your pastry and refrigerate or freeze it. 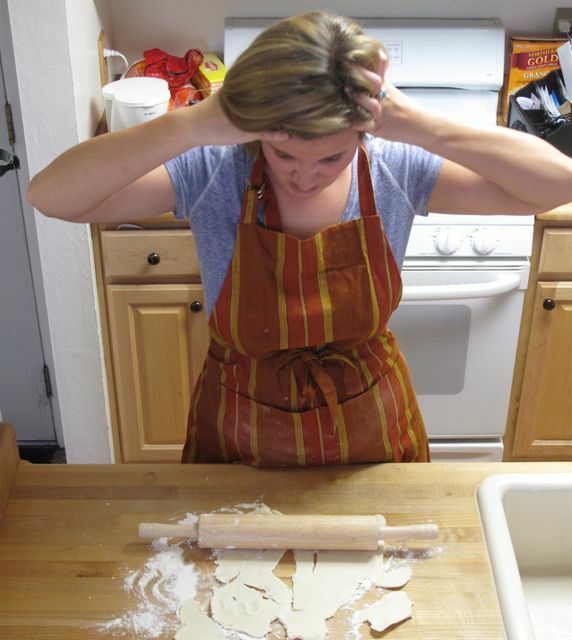 Doing it ahead eases last minute pressure – especially important if your pie dough doesn’t always behave. 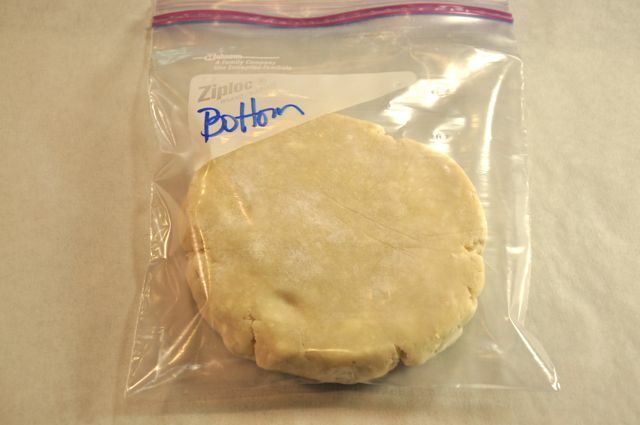 To freeze, shape your dough into disk about 3/4-inch thick, wrap tightly in plastic wrap, and slip into a plastic freezer bag. Freeze for up to 2 months. Thaw overnight in the fridge before rolling. If I’m making a crumb topped pie (see #2 below) I’ll often prepare and roll the dough, get it into the pan, flute the edge, and freeze this shell. A sheet of foil gets bunched up over the top once the edge is frozen-hard. You’ll find our pie dough archives under the Table of Contents tab, above. 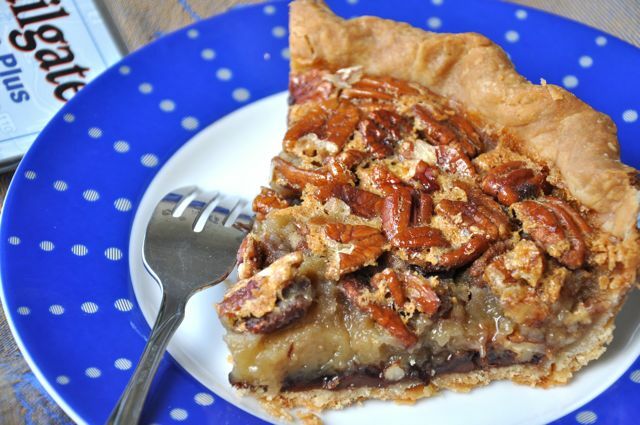 Let’s face it: your top crust is where a lot of your pie nightmares come true. It can fall apart en route, be too thin, too thick, crack, spring a leak or otherwise misbehave in ways that you’ll never even see in a bottom crust. 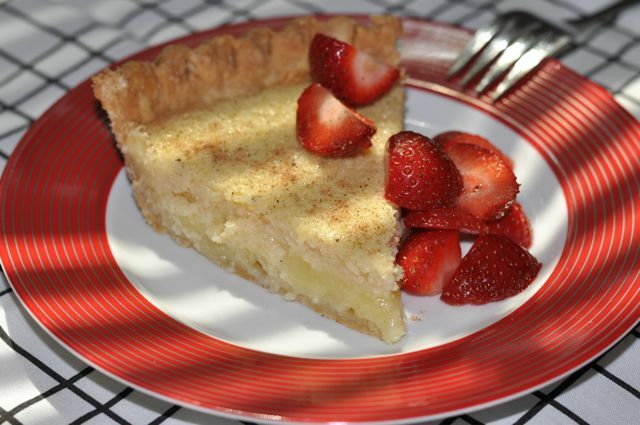 If you can relate, you can play it safe and go with a crumb topping on your fruit pies. A crumb topping takes no special skill, can be made ahead, and everyone loves it as much – if not more – than a top crust. Here’s one with oats and another with cornmeal that’ll knock ’em dead. An attractive lattice top is the calling card of a veteran pie maker – and it’s not nearly as difficult as it looks. If you have the confidence to pull it off, your Thanksgiving dinner guests will gobble it up. I show you how it’s done below, in this new video from The No-More-Tears Pie Pastry Course. Sorry, but plain pumpkin pie bores me and I suspect I’m not the only one who can take it or leave it. But it doesn’t have to be that way. 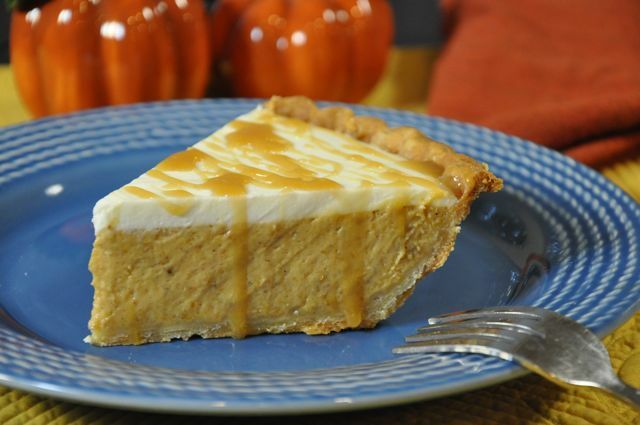 Nudge pumpkin pie in a new direction, making it more like cheesecake or enhancing its flavor profile with my beloved maple syrup, and you’ll turn those yawns into yums. You think cranberries are just for cranberry sauce? No way. 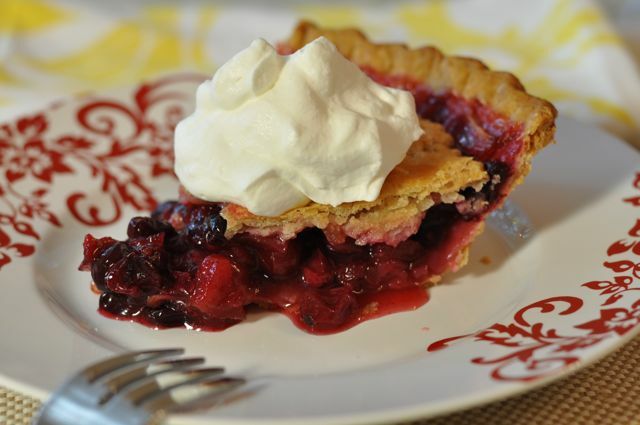 Just a handful will add tartness and sparkle to your Thanksgiving fruit pies, not to mention a burst of festive color. Substitute 1 cup of cranberries for 1 cup of another fruit. To counter the tartness, up the sugar by 2 to 4 tablespoons. For the specifics, here’s a favorite cranberry filling of mine in a floating top pie. They’re expecting whipped cream, but wait till they taste the custard sauce! 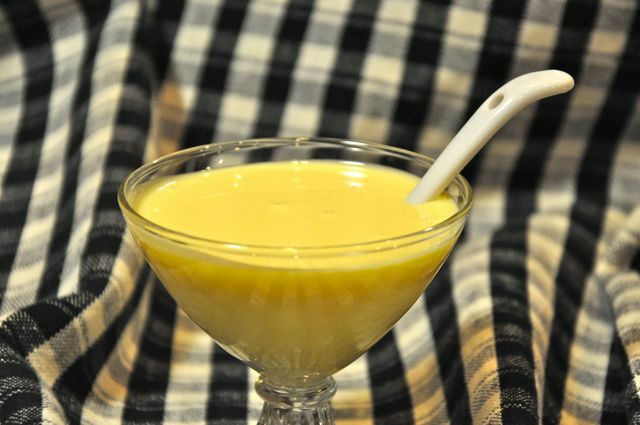 If you’ve never had it, custard sauce is a cool, vanilla-flavored, thick-as-cold-cream emulsion you spoon on and then experience dessert nirvana with the first bite. Goes with virtually any Thanksgiving pie you want to pair it with. Who says Thanksgiving pie always has to fit the same old mold? Even if you don’t care to toss tradition altogether, you can shake things up a bit – and provide an outlet for the pie rebels at your table – by serving something unexpected like Soft Buttermilk Pie, Chocolate Espresso Chess Pie (hard to argue with chocolate) or even Creamy Peanut Butter Cup Pie. Go bold, and they’ll go home happy. 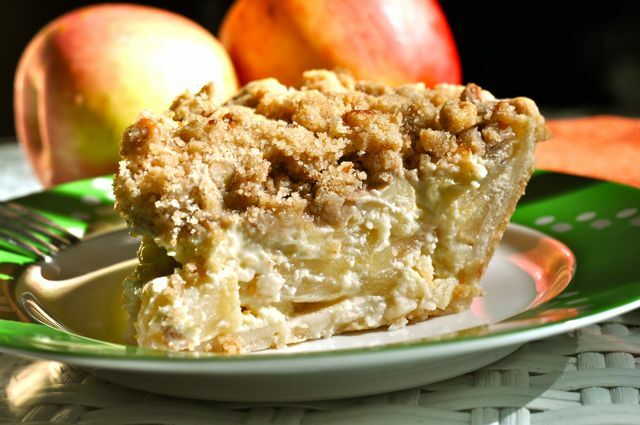 Don’t get me wrong: I love apple pie, wrote a whole book on the subject. But I think apple pie is even better when pears show up in the same crust. Pears layer on flavor with their thick, aromatic juice and are a natural with dried fruits, especially figs. Don’t tell ’em about the pears; see if they can guess. You’re thinking if it ain’t broke, why fix it, right? Fair enough. But you might reconsider that ain’t broke part after you’ve laced it with chocolate, or baked this maple version in a tart pan. We’ve all known this gal. You may even be this gal, and you need some pie 9-1-1 now. If you can give me a little less than an hour, I can show you exactly what you need to know to make a reliably great pie crust, each and every time. It’s all here in my new video course, The No-More-Tears Pie Pastry Course. Have a blessed and bountiful Thanksgiving week. We all lead such busy lives, so setting aside a week…and a meal…to slow down and dwell on our blessings is a good thing. I have many reasons to be grateful: my wife, Bev; our respective families; our children; good health. Also know that I’m grateful for you…for each and every member of The Pie Academy…and the opportunity to share my love of baking and cooking with you. That’s a real gift, so thanks, and take care.